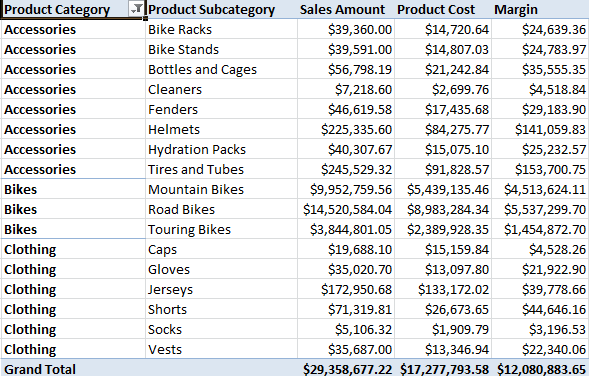 How to change the layout of the Excel Pivot Tables? I am using Excel 2010 Pro Plus to demo the solution, please use this solution to adapt to use it with other versions of excel. Step 3: As you might have noticed the “hierarchical” structure is now broken up into multiple structure getting us closer to meet the requirement. So as you can see, it meets our requirement now. #2: We saw how to hide the expand/collapse buttons too. That’s about it for the post! Thanks for reading. 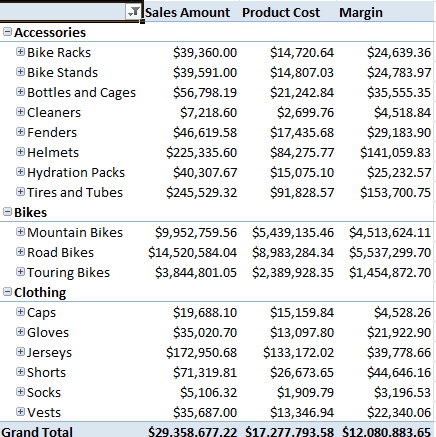 SQL Server Reporting Services: Why am I not seeing every axis label in a chart? Great blog Paras! I had been trying to look for this kinda solution for my requirement as well; blog proved to be helpful! Thanks, I am glad that it was helpful!